In New York, a unique law protects workers who work at high elevation. 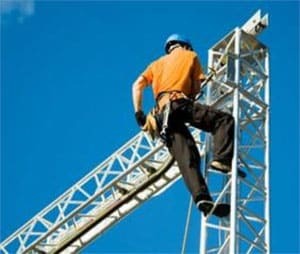 The Scaffold Law (Section 240) was enacted in recognition of the severity of injuries caused by elevated falls particularlyscaffolding accidents.. The scaffold law imposes third-party liability on those whose property is being worked on if they are responsible for failing to furnish appropriate or non-defective safety devices to guard against risk. Third-party liability also extends to the project owner or general contractor who failed to provide proper safeguards. Examples of Section 240 claims include, falling objects falling persons, and gravity related accidents caused by demolition, altering, repairing, and window cleaning.There is one important exception to Section 240, which is owners of one or two-family dwellings. Owners of family dwellings are exempt from absolute liability unless they control or supervise the work. Section 241 is also applicable in the construction trades. When there is construction, demolition or excavation work, the law requires owners and agents to ensure all areas are unobstructed, shored, equipped, guarded, arranged, operated and conducted as to provide reasonable and adequate protection and safety. * The same provisions apply to planking and barriers. Like the Scaffold Law, Section 241 creates absolute liability and non-delegable duties, and owners of one or two-family dwellings are generally exempt. However, Section 241 has detailed regulations on what are considered reasonable and adequate protections. You should contact your work related accident attorney at Pulvers, Pulvers & Thompson to the conditions of the law and find out who is responsible for your injury. Decisions and mistakes, even small ones, made after an injury or accident can substantially limit your recovery. Employers and insurance companies try to downplay the seriousness of your injuries, even in cases where there has been catastrophic injuries. The defendants will underestimate the cost of medical procedures and the amount of money it will take to support the injured worker in the future. That is why it is so crucial to hire experienced attorneys who have experience evaluating claims and damages. Our construction accident lawyers NYC know all the tricks used by employers and their experience will help take care of you. In some cases, you may be entitled to a damage award from negligent parties over and above your employer. A settlement or jury verdict in New York personal injury cases can be much higher, so an experienced attorney will also carefully review your claim to determine if there is negligence. Pulvers, Pulvers & Thompson proudly serves Manhattan, Brooklyn, Bronx, Queens, Staten Island, Westchester, Nassau, and Suffolk Counties. If you or someone you care about has been injured in construction accidents, or other work related accidents, contact us on our free New York construction accident free consultation form or call us at (212) 355-8000. If you work in New York and suffer a work related injury, you may be eligible for workers compensation benefits. Workers compensation laws are based on a compromise between the employees and the company they work for. The workers are compensated for their medical care and missed time, and in exchange the law prohibits most employers from being sued for negligence. New York work related accident claims are filed with the State Workers Compensation Board. This is the state agency responsible for handling and deciding claims. A claim for an accident must be filed by the injured worker within two years of the accident, incident or condition that caused the injury, illness or disability. 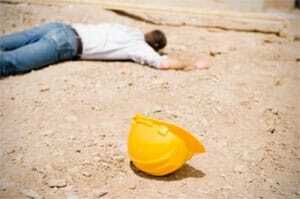 Workers compensation also covers workers who contract an occupational illness. An occupational disease is something that is cause by performing a job for a long period of time. It can also be caused from long-term exposure to a substance at work. The amount of compensation the worker receives for their work related accident depends on the average weekly wage and the degree of disability.